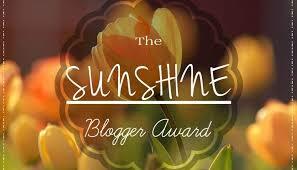 Thank you to the gorgeous Jade at Life at Number Four for nominating me for the Sunshine Blogger Award! Nominate 11 new blogs to receive this award, and write them 11 questions. What is one of your favourite quotes? 'Don't worry about tomorrow. It will take care of itself. You have enough to worry about today.' This is actually a quote from the Bible (Matthew 6), and it was one my godmother picked out for me when I was baptised as it pretty much sums me up perfectly! If you could stay a certain age forever, what age would it be? 21. I can't even really put my finger on why, I just loved being 21. I was on the cusp of finishing uni, I felt almost like a proper grown up for the first time but still had my whole future ahead. And I could still go out and get drunk fairly regularly. 21 was great. What is your favourite quality in yourself? My resilience, I think. I've been through my fair share of rubbish but I still haven't lost my faith in people or the world, which is quite nice. I'd be gutted if I became a cynic because of it. If you could be invisible for the day, what would you do? Sneak on a train/plane somewhere and go on an adventure! What song would you include on a soundtrack of your life? Oooh, what a question! I think whatever I choose would sound super cliche, but Kelly Clarkson's 'Breakaway' has sprung to mind - because I was always a little girl wanting to get out of my little hometown and go on an adventure! What do you miss most about being a child? I was a fairly confident child, I miss not feeling insecure about myself and not worrying about what others thought of me! (I also miss the amazing 90s toys and TV shows, ofc. Who is your favourite musical artist? I always find questions like this SO hard because my music taste is so mixed! I don't think I can pick out a favourite - I spend most of my time listening to either soundtracks or 90s/00s music! What experience in life has made you a stronger person? SO many. Moving away from home, my incredibly rocky relationship with my dad, the breakdown of two serious relationships... that's just to name a few. If you could watch only one programme for the rest of your life, what would it be? It'd have to be Friends, no question. Where do you see yourself in 10 years? I have absolutely no idea. Not a clue. Happy, I hope? What did you want to be when you grew up as a child? What makes you smile when you've had a bad day? If you could work with any brand, who would it be? Tell me three things you love about yourself. Thanks so much for the nomination! I have actually done this one before, so I probably wouldn't do another post on it but it's appreciated! I love the song Breakaway! I haven't heard it in ages but it's so powerful and empowering! love the answers! love posts like this as i am crazy nosey!